Have you ever wanted to make the most beautiful swirl in the world? Eat starfish cake and coffee? Cat Food takes inspiration from the life and legend of Prince with bakes and shakes to make at home for you and your beautiful ones. Add sparkle and flamboyance to your day with a recipe book that includes Purple Rain ombre cakes, Raspberry Beret tarts, Darling Stikki toffee puddings, Most Beautiful Swirl in the World brownies and lots more bakes for you to get stuck into. The perfect book for beginners in the kitchen to trained bakers alike. 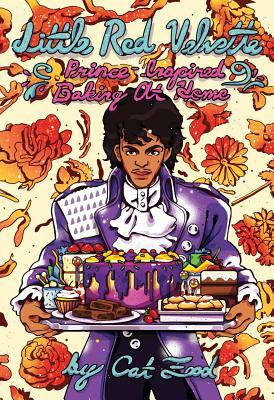 Little Red Velvette is the Prince inspired cook book you didn't know you needed in your life Unauthorised made by lovers for lovers.